How can I create splitted discounts? Let's assume you gave your customer $20 balance to spend on particular service/product but you want to guarantee the endowed customer will come back more than one time to spend the credits, e.g., a 20$ code for two Expo entrances, each visit costs $10. You can split the balance on separate visits and additionally secure the code so only the endowed customer would be able to use the code. Order item list, by product - the product would be your service or item which your customer can get or discount with the code. 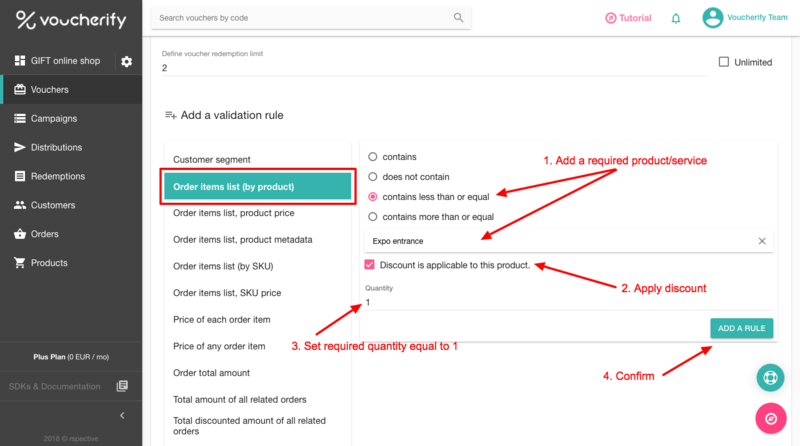 With this rule, you can set which service needs to be in a customer's cart and set it's maximum number to one per order. 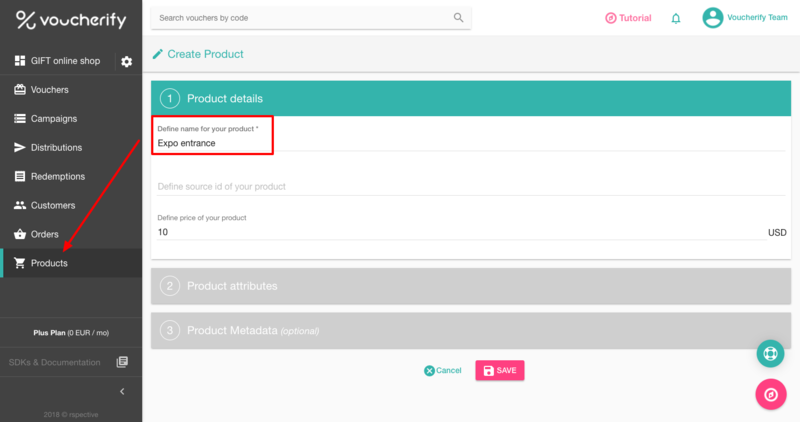 Firstly, you need to add a required product/service to a Products section in your dashboard. 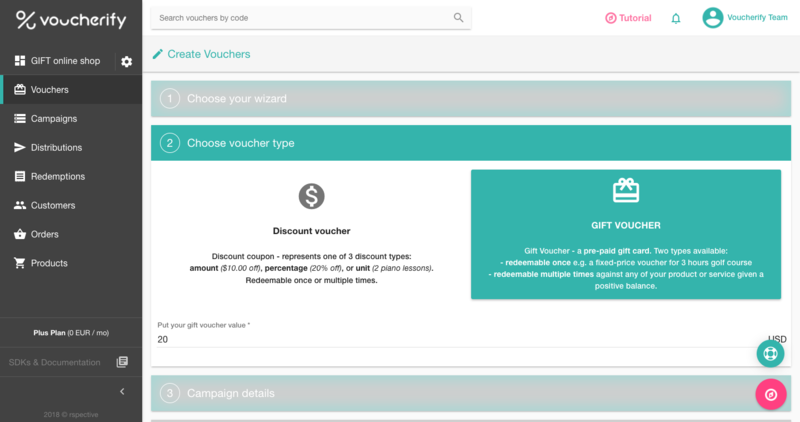 Then you can create a campaign with a splitted discount. In the 4th stage of the campaign manager, you need to add validation rules. Let's use our example with two free Expo entrances. Normally, each visit costs $10, so we give our customer a gift card with $20 balance. As a result, customers can use a gift card only if there is an Expo entrance in their cart, and it's ordered in a maximum quantity equal to one. 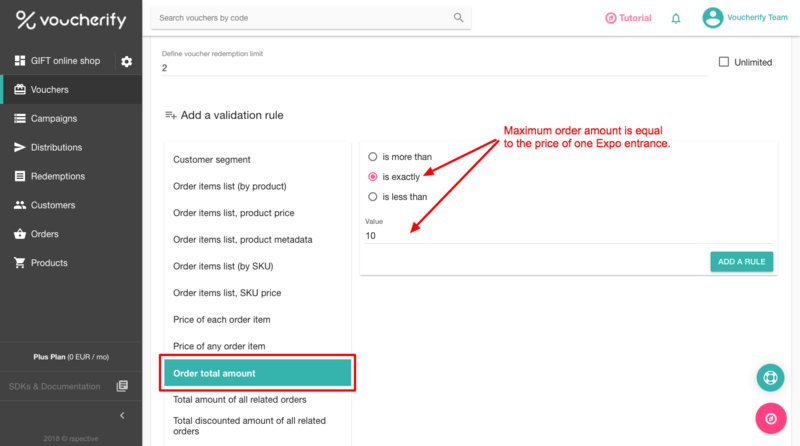 Now, we are going to add a limit on a maximum order value so the customer won't be able to add more items to the cart. Only for a customer who is a holder of the card - this rule guarantees that the only customer who got the code at first would be able to invoke valid redemption. Redemptions limit per customer per day. Limit a total number of redemptions. All these rules are listed in the 4th stage of a campaign manager.